Mattress company Silentnight claims to have converted over 105 million plastic bottles into mattresses as part of its new eco-friendly bed collection. Though the UK-based brand has been around for decades, it’s recently found a new life as a hub for sustainable innovation. In the past few years, Silentnight has become the first bed company to be accredited under the Furniture Industry Sustainability Program, won a number of environmental awards, and launched its Eco Comfort line of beds, built out of recycled plastic. It works like this: the brand collects plastic bottles before they hit the ocean, breaks them down into fibers, and then utilizes said fibers to construct the mattresses. A spokesperson for the company told Huffington Post that each bed uses about 150 plastic bottles, which adds up to millions of bottles over the course of a year. This along with a new partnership with the Marine Conservation Society (a leading environmental group in the UK) is all part of the retailer’s mission to become a “zero waste to landfill” business. To learn more about the impact of plastics on the environment and sustainable design’s role in counteracting it, I spoke with Social Innovation Designer Amer Jandali. Plastic in particular presents a significant challenge for our planet. 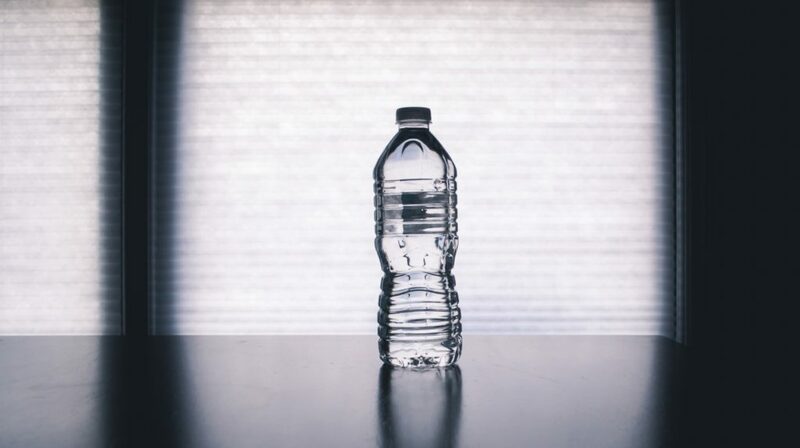 As Jandali explained to me, an easy way to visualize the impact is to imagine a single liter plastic water bottle on your desk. To get to where it sits in front of you, this singular vessel had to use up 1.5 liters of water and .25 liters of oil. While it may not seem like a lot on the micro-level, when you go macro and add up all the plastic bottles around the globe, that’s almost 17 million barrels of oil annually. Keep in mind that these resources are going toward creating a product meant to be used just once, but that will last for centuries, more often than not as litter in our oceans. So what do we do? Aside from society decreasing its consumption of plastic goods, Jandali noted that green initiatives like those at Silentnight are solid solutions as they divert a waste stream and create demand for recycled products that would otherwise be left in landfills. “I think design has a role in the universe and when you specifically focus on climate change… designers have an obligation and a responsibility to design for the full life cycle of a product,” he concluded. Curious to learn about how other companies in the sleep space are going green? Check out our guide to some popular eco-friendly brands.